I use to love cheesy pop music when I was a kid. The kind of songs that make you cringe when you get older. Until a close friend of mine died and my taste in everything changed. Music’s what saved me, though. Even the pop stuff, eventually. For the Death of Dustin Essary: a music novel is a tribute to my childhood best friend, whose unfortunate death from cancer at the age of 13 is what would lead me to over 30 years of songwriting. And some songs I wrote got me started on the book, but it was the music from my past that would help me finish it. My story covers the six-month period leading up to Dustin’s death in 1978. Those last immortal days we might have enjoyed more had we known better. The hard part was trying to remember it all. Which is where my embarrassing nostalgia for 70s soft rock comes in. Sorry, but in order to find my way back I had to admit it. I was never one of the cool kids. Case in point, one of my old favorites at age 13, Player’s Baby Come Back. Yes, this ridiculous dreamy pop rock ballad (a song my adult ego still denies it ever heard before) is what served as a portal back to those simple childhood moments. The lyrics for this song helped me to remember a frustrated crush I had around that time also. Or I’d listen to Al Stewart’s Year of the Cat on auto repeat and be sure to find some more lost scenes. I found it best to narrate the story from the perspective of just a few years after Dustin died, since looking back from my adult high-horse wasn’t very interesting. But these songs, and many more like it, not only brought back the time and place, but helped to reanimate that well-meaning, naïve, 13-year-old self I used to be. I look back on a lot of these future classics at the end of part one, recalling a day of radio airplay in 1977. It was obvious I had to revisit those days, musically or otherwise, in order to write this story. But how my own music would bring me to write the book in the first place is a bit of a mystery. The origin of which came from the music that first influenced me to become a songwriter. But besides my new obsession with prog-rock at the time, all the great songwriters from that era just spoke to me after that. Like Jackson Browne’s Doctor My Eyes and James Tylor’s Fire and Rain sounded different all of a sudden. And songs I hadn’t paid much attention to before, like Carole King’s, You’ve got a Friend and Karla Bonoff’s Home called out to me also. So these songs became my new best friends in a way. And then my sister gave me her old acoustic guitar and I’ve been writing my own music ever since. Here’s a live performance of one of my songs from the book So Be It. So then cut to five years ago when a group of songs came to me unexpectedly, one of which was about Dustin. To be honest, I hadn’t thought about him in years, but that’s when it struck me that my whole musical journey had started over 30 years before as a direct response to his death. So I started the book as a memoir at first, with the idea to include my music somehow. But when I struggled to remember some dreams Dustin shared with me, the other songs in the group seemed to be waiting there to use for Dustin’s dream content. There was one song about a scientist, the second about a psychic, and another about a spiritual leader. The whole thing was strange how it came together, but it’s what gave me the idea to embed my music as a part of the story and to call it a music novel. Here’s a live version of me performing one of Dustin’s dream songs The Clairvoyant. There are eight songs in the book all together, and for each song you come to in the story you can play, and or, download as you read along with the lyrics, which I hope will lead you poetically and sonically back to the next part of the story. For this reason the book is only available through my membership website. And besides the songs that became Dustin’s dreams for the book, there were more songs I had written through the years that seem to retrofit perfectly into the storyline as well. Here’s a live version of the opening song To Dream of Another Life. And this song Idle Thought with my band Broken Poets, worked to help describe a daydream I have in part IV. Looking back, it’s hard not to imagine some mysterious redeeming force behind it all. Maybe to help us grow at certain points. A force strong enough to bring back our childhood, or save us if we need it, or remind us how we got here to start anew. 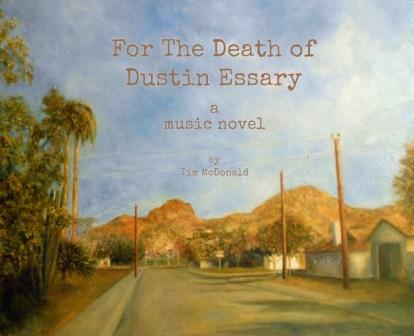 Tim McDonald is the author of For the Death of Dustin Essary: a music novel. The first chapter is free as an excerpt, including the first three songs. You can find Tim’s complete music catalogue and more of his writing available at brokenpoets.com. His music is also available through iTunes and Pandora. Tim is the founder, songwriter, singer and guitarist for the modern indie rock band Broken Poets. 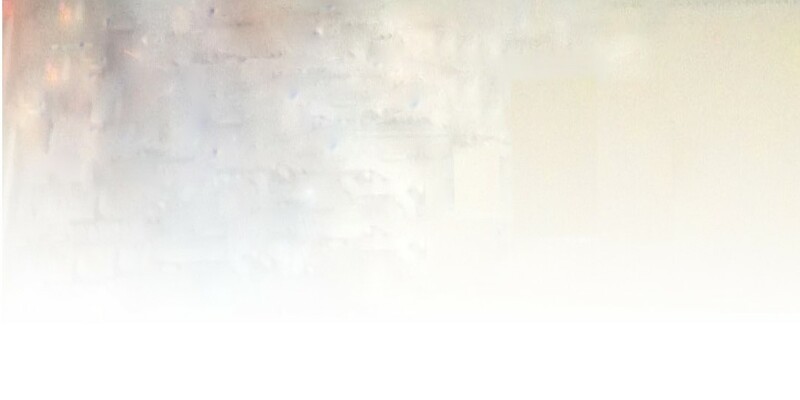 Find him on Facebook. My guest this week is a true hybrid of the two Undercover Soundtrack disciplines – music and writing. He’s primarily a musician with the indie rock band Broken Poets, but he traces his songwriting to a profound childhood loss – the death of his best friend at age 13. He decided he had to write about this in prose as well as music, and the result is a multimedia work which he calls a ‘music novel’. He is Tim McDonald and he’ll be here on Wednesday with his Undercover Soundtrack.